Unlike some of the previous NRO launches that orbited obscure payloads that were difficult to identify, the identity of NROL-33 seems pretty clear. Using clues like the type of launch vehicle that is used, the launch site, the placement of the launch within the overall NRO manifest and hints given in the launch patch, NROL-33 can be identified as a Satellite Data System spacecraft. The SDS spacecraft are also known under the code name Quasar as documents leaked in recent years have confirmed. The Satellite Data System has the primary purpose of securely relaying data to and from lower-orbiting reconnaissance satellites to allow real-time data processing for critical operations. The low-orbiting NRO spacecraft include Keyhole optical imaging satellites, radar satellites such as Topaz and Lacrosse and low-orbiting electronic intelligence satellites. Additionally, the system is tasked with communications relay for airborne and ground-based Air Force Satellite Communications terminals with special focus on the polar regions. For that, the Satellite Data System uses a combination of satellites in a Geosynchronous Orbit and spacecraft in highly elliptical Molniya orbits that allow coverage of the polar regions. The Satellite Data System was conceived in the 1960s and early 70s before seeing its first launch in 1976 when a Titan III rocket delivered a first-generation SDS satellite to orbit. 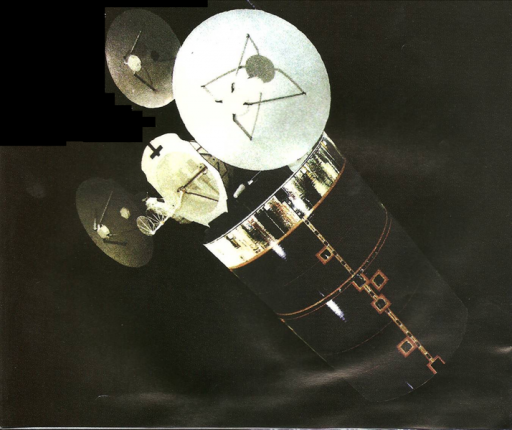 Seven first generation spacecraft were launched from 1976 to 1987 – each weighing in at about 630 Kilograms, capable of providing 12 channels for UHF communications. The second generation of SDS spacecraft started deployment in 1989 – having three satellites lifted by the Space Shuttle and a fourth launching on a Titan IV in 1996. These satellites featured significantly enhanced capabilities hosting communication payloads supporting several frequencies including K-Band to enable the system to handle high data rates. The current SDS architecture employs two satellites in Geostationary Orbit and three operational vehicles in Molniya orbits. First launching on an Atlas IIA rocket, the third generation began deployment with the launch of NROL-5 in 1998 that entered Molniya orbit. NROL-10 and NROL-12 followed in 2000 and 2001 using the Atlas IIAS launcher. 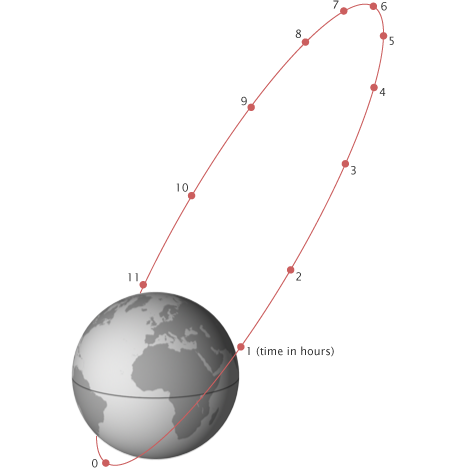 Those two satellites entered Geosynchronous Orbit at 10° West and 144° West, respectively. NROL-1 was launched atop an Atlas IIAS in 2004 followed by NROL-24 in 2007 aboard an Atlas V 401 rocket, both were delivered to Molniya orbits. 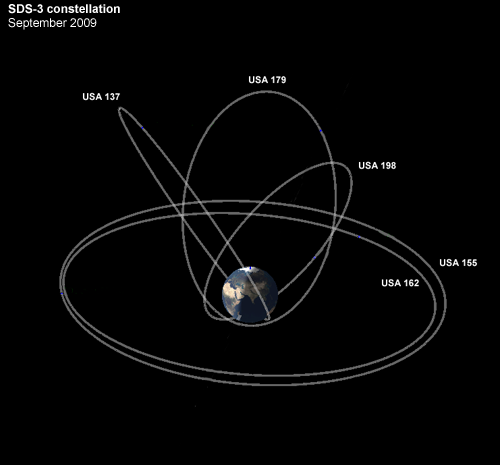 The two Geosynchronous Satellites were replaced in 2011 and 2012 by NROL-27 that entered the 10°W location and NROL-38 that is stationed at 144°W. Whether these two spacecraft represent third generation SDS satellites of if they are part of the next generation is unknown. Lined up for launch on May 22, 2014 aboard an Atlas V 401, NROL-33 is either headed to a Molniya orbit to replace one of the aging satellites or set for delivery to Geosynchronous Orbit to expand the GEO segment of the constellation. The satellites in GEO that were launched just recently are likely built to operate for more than a decade and are not likely to need replacement any time soon. However, there is the possibility of this satellite heading to Geosynchronous Orbit to expand the GEO segment to three operational spacecraft. Navigational warnings issued in the days before the launch show the impact locations of the Common Core Booster and the Payload Fairing which allows a rough estimation of the type of ascent trajectory that is used. 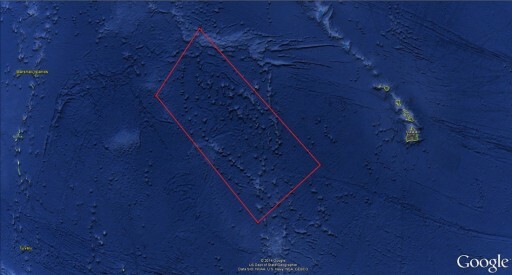 The warnings point to a launch to the south-east indicating a mission to a Geosynchronous Transfer Orbit. A warning issued for the re-entry of the Centaur Upper Stage is valid just under ten hours after liftoff confirming that the upper stage will make a deorbit maneuver for entry over the Pacific Ocean. These warnings closely mirror those of the NROL-38 launch in 2012 that went into Geosynchronous Transfer Orbit and show that NROL-33 is eventually headed into a Geosynchronous Orbit. With two GEO sats recently launched and three aging satellites in Molniya orbit, launching the next SDS into GEO implies that either one of the GEO birds has failed or is failing (for which there is no indication) or that the GEO Segment of the SDS constellation is being expanded – possibly a step to the retirement of the Molniya satellites to transition to a completely Geosynchronous constellation as part of the next generation of the system. 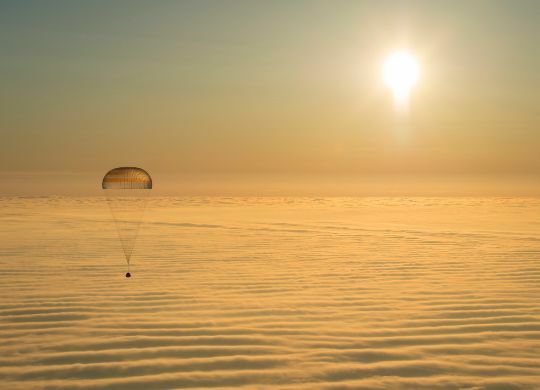 Only time will tell in which direction the Satellite Data System is headed as future launches will be closely monitored to confirm whether the Molniya segment is no longer being replenished. It is also possible that the next generation of SDS satellites will be heading to Molniya orbit using a different type of launch vehicle. A Molniya orbit is a highly elliptical orbit at an inclination of 63.4 or 116.6 degrees with a period of half a sidereal day (~12 hours) and a high apogee around 40,000 Kilometers. This type of orbit was first used by a series of Russian military communication satellites known as Molniya (Lightning). Choosing an inclination of 63.3 or 116.6 degrees allows the satellite to have a constant argument of perigee of 90 or 270 degrees because the orbits are not perturbed by the gravitational field of Earth (J2 term of the Geopotential Model). This allows the satellite to have a constant perigee and apogee location on Earth over the course of its mission – for Molniya orbits, apogee is located above the northern hemisphere. Hints provided by the NROL-33 mission patch support the SDS theory. The patch shows the Latin words “Defendi Nostrae Opes” (to defend our resources/wealth) and eight distinctly shaped stars on the sides of the patch which have appeared on five of the previous seven SDS launches (although stars appear to be a common theme on NRO mission patches). Final confirmation of the identity of the satellite will come in the days after the launch when satellite trackers around the world will try to spot the spacecraft and begin to track it in its classified orbit.